Every year COUPS run a day conference, bringing together experts in the field to discuss a range of specific topics and to present up to date research on the area. 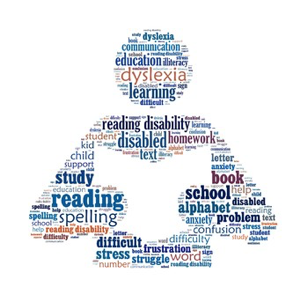 This year we will be looking at the important topic of ‘Learning Difficulties’. Learning difficulties embrace a diverse set of problem areas which can lead to children struggling to cope in school. Each of our four speakers are leading researchers in their area of expertise. They will explain what difficulties each group of children face and what can be done to support their learning. This conference is open to all students, graduates, academics, teachers and practitioners, both within and outside of the Open University. It will appeal to all those interested in education and development and those working or interested in related settings and applied psychology. Professor Susan Gathercole (Director of the MRC Cognition and Brain Sciences Unit in Cambridge) will be speaking about children with working memory difficulties. Susan Gathercole is a cognitive psychologist with interests in memory and learning including the causes of specific learning difficulties in children and how they might be overcome. She has held academic posts at Oxford, Lancaster, Bristol, Durham, York and Cambridge universities, and since 2011 has been Director of the Medical Research Council Cognition and Brain Sciences Unit at Cambridge. Current projects examine the cognitive mechanisms of working memory and how they might be modified through training, and investigate through a new research clinic the dimensions of cognitive and brain that are often impaired in children with problems in attention, learning and memory. Susan became a Fellow of the British Academy in 2014 and was awarded an OBE for services to psychology and education in 2016. In 2017 she was appointed Chair of the Psychology, Psychiatry and Neuroscience sub-panel for the 2021 REF. Professor Edmund Sonuga-Barke (Professor of Developmental Psychology and Neuroscience at Kings College, London) will be talking about children with ADHD. Edmund Sonuga-Barke is Professor of Developmental Psychology, Psychiatry & Neuroscience at Kings College London. His research has covered a wide field of developmental psychopathology and he is well known for his formulation, elaboration and testing of a distinctive neurocognitive approach to the problems of attention deficit and hyperactivity. His work has changed radically our understanding of ADHD: from a fixed deficit theory about attention to the modern view, based on several alterations of decision-making and response to reward, responsive to environmental change as well as constitution. He was the intellectual leader of the European ADHD Guidelines Group, whose reviews and conclusions have had a major impact on treatment in Europe, including NICE guidelines for the NHS. Professor John Stein (Oxford University, Chairman and Co-Founder of the Dyslexia Research Trust) will be discussing children with dyslexia, from a neuroscience perspective. John Stein is the Chairman and Co-Founder of the Dyslexia Research Trust. Professor Stein studied medicine at New College, Oxford and St Thomas's Hospital, London; he is now a Professor of Neuroscience at Magdalen College, Oxford. Professor Stein started a career in Neurology, continuing his training in London, Leicester and Oxford; however, he decided that basic research into the visual guidance of eye and limb movements might be more useful. He became a tutor in medicine and neuroscience at Magdalen College, Oxford, in 1970. Since then Professor Stein has been studying normal and abnormal eye and limb movement control in animals, neurological patients and dyslexics. In 1978 with Sue Fowler he began to study the role of vision in learning to read, and he has been pursuing the hypothesis that reading problems may result from impaired low level perceptual visuomotor and auditory processing that is caused by abnormal development of magnocellular neurones in the brain. Thus he has been researching visual dyslexia for over 30 years. Professor Stein is well recognised as a world expert in this field and is regularly called upon to give his knowledge, expertise and advice to academics, teachers, parents and the media. Professor Nicola Yuill (Manager of the Children and Technology Lab, Sussex University) will be discussing children with autism and how technology can be used to help them. Nicola Yuill is Professor of Developmental Psychology and Manager of the Children and Technology Lab (www.sussex.ac.uk/psychology/research/chatlab) at the University of Sussex, UK. The underlying aim of her work is to understand the role of social interaction and collaboration in learning, play and social cognitive development. Some of her work in this area focuses on children with autism and on improving children's text comprehension. She runs the Children and Technology Lab where they study how technology can be used to understand and support mechanisms of collaboration. This event will be held in Cambridge, actual location to be confirmed shortly.